Women’s T-Shirt 3-Pack Just $14.99! Down From $84! Shipped! For a limited time only! At Proozy, you can score this Under Armour Women’s T-Shirt 3-Pack for just $14.99 down from $83.97 PLUS FREE shipping! Under Armour Men’s 2-Pack Shorts Just $35! Down From $80! FREE Shipping! Right now at Proozy, you can get this Under Armour Men’s Mystery Shorts 2-Pack for just $34.99, down from $80, PLUS FREE shipping! Get a 2-pack of assorted Under Armour Shorts for yourself or get them as a gift for a family member or friend that likes looking good. Two shorts for the price of one! Styles may include Mesh Training Shorts, UA Big Logo Knit Shorts, UA HeatGear Lightweight Shorts and many more! With anti-odor technology that prevents the growth of odor-causing microbes. 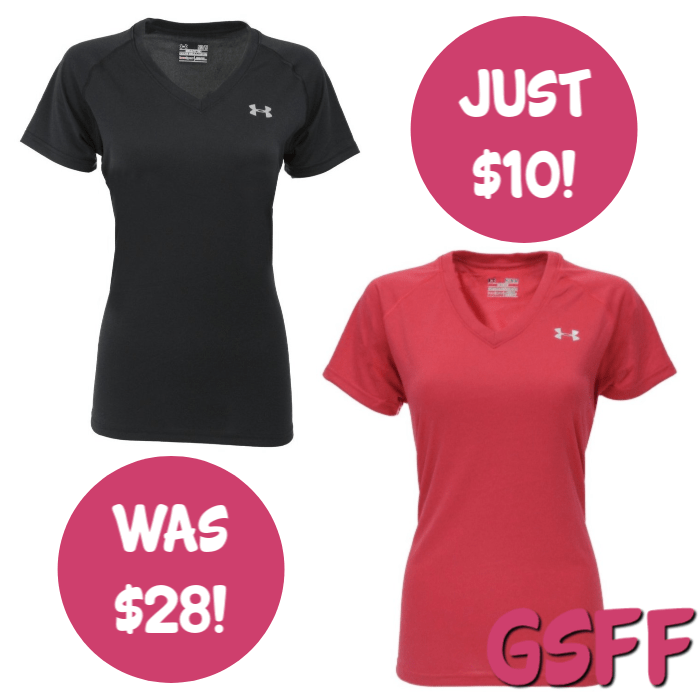 Under Armour Women’s UA Tech V-Neck T-Shirt Just $10! Down From $28! FREE Shipping! Hurry over to Proozy and get this Under Armour Women’s UA Tech V-Neck T-Shirt for only $9.99, down from $27.99, after using the code PZY999 upon checkout, PLUS FREE shipping! 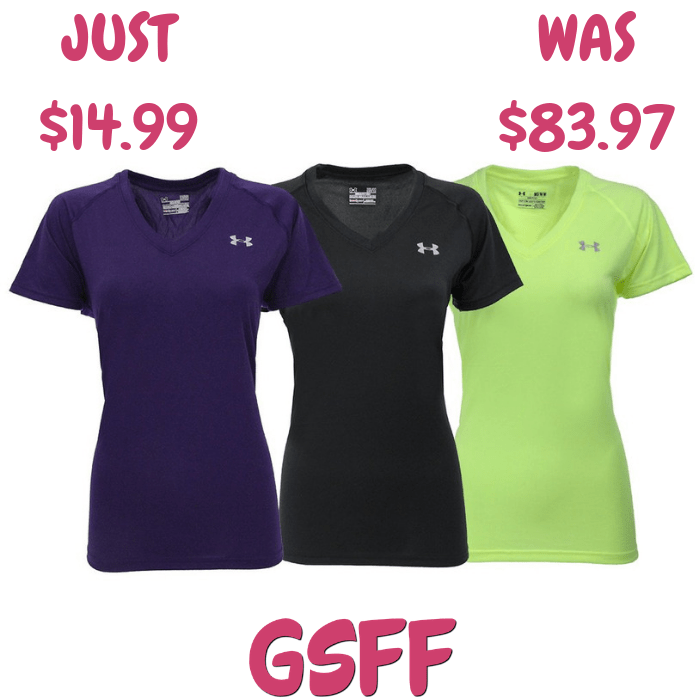 The Under Armour Women’s UA Tech V-Neck T-Shirt has a softer, more natural feel for incredible all-day comfort. The signature Moisture Transport System wicks sweat to keep you dry and light. The anti-odor technology keeps your gear fresher, longer. With extended body length delivers the perfect amount of coverage. The deep V-neck collar & slimmer fit deliver a sleeker, more feminine silhouette. Super-soft UA Tech fabric delivers incredible all-day comfort. With a lot of colors to choose from! Made with 90% Polyester and 10% Elastane.